We have been successful at managing and resolving large variety of injuries and dysfunctions in diverse populations. This includes problems involving muscles, tendons, ligaments, nerves and joints. Common conditions we treat are: back and neck pain, shoulder pain and impingement, carpal tunnel, plantar fasciitis, sciatica, tennis and golfers elbow, TMJ, knee pain and many more. To start, we take a comprehensive health history and perform a range of motion assessment to not only understand your specific problem but also see your body's current level of function. Following this, we determine which approach would best suit your needs (often blending a few techniques), there are many we utilize however we found major success with NMT, FR Release, and MAT. Our methods utilize both passive care (soft tissue work, joint or nerve mobilization) and active care (rehabilitation, exercise prescription, lifestyle modification) in order to reinforce manual releases and thus resolve the issue permanently. Also known as trigger point therapy, it is a bodywork technique utilizing application of pressure to tender points of the muscle in order to relieve other painful areas in the body. The research on the mechanism of referred pain is inconclusive, however it is known that there is a very predictable pattern of pain referral that is the same for everyone. 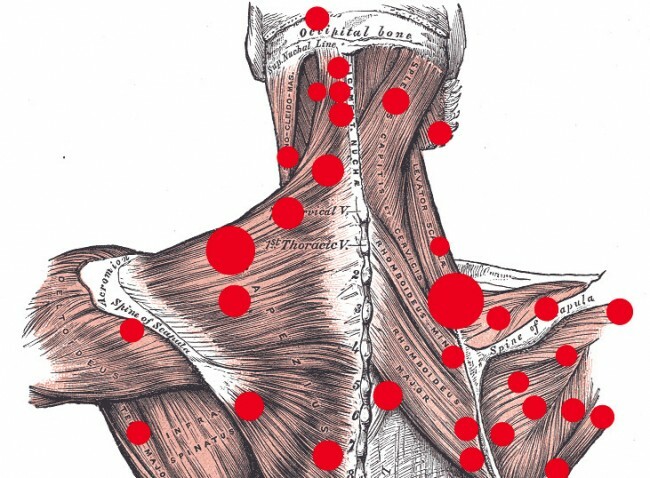 Although, the pattern of referral does not follow muscular or nerve pathways it is more predictable than nerve pain and at least 75% of trigger points correspond to acupuncture points. One of the most comprehensive systems of soft tissue assessment, treatment and rehabilitation. The focus of this method is on influencing the central nervous system via utilization of very detailed attention to palpation and identification of problem areas, targeted soft tissue releases, tissue tension technique, and progressive and regressive angular isometric loading. Its use is not limited to just treating injuries, it also places great emphasis on improving quality of movement, as well as, promoting joint health and longevity. A unique process. From the beginning of each session there's an ongoing assessment being performed, movements visually assessed, pain verbally monitored, muscles tested for positional function, strength and support. Then the magic happens a simple gentle application of specific and precise force or graded isometrics intended to reactivate the positions or tissues in question. With Muscle Activation Technique we can reinforce effective support to the body with only M.A.T. or in conjunction with various modalities.